It’s as true today as its always been: time is money. Traditionally, when planning prototype build it is quite normal to schedule 4-5 weeks for manufacture of parts. This year Warley Design has been involved in some projects where prototypes have been built from “scratch” in a matter of days, not weeks or months. We have had Plastic Injection Mouldings tooled and produced in just 5 days, precision machined parts machined in just 1 full day and delivered by 9:00 am the next. Parts have been hand-carried to machinists for secondary-operations on the way home from work and then collected next day on the way to work. How’s that for service? Service providers offering this kind of excellent response on an on-going basis need to be properly compensated and it would be completely unrealistic to expect such premium services to be available without a commensurate price tag. One might reasonably expect to pay 50% more and perhaps double for this kind of immediate attention. Service providers need to price to cover the costs of “waiting” time, paying overtime and for managing the expectation of their staff and other clients. Most customers would both understand and accept this. However, whilst this makes perfect sense in a manufacturing context, the same model is difficult to apply for engineering & design activities. When preparing a quotation I believe I strive to present the most competitive price possible, and this makes me don my “rose tinted spectacles” – that is I cost optimistically, as if things go the way that I think they should. After-all, if I was to add a contingency to cover every alternate eventuality our proposals would be unrealistically pessimistic and commercially unattractive. When preparing fixed-price quotes I like to produce a table of milestones with cost and projected dates for each milestone. A full break-down of Scope, detailing the work that will be done during each phase, is also provided. It is clear that scope creep may have an impact on cost and schedule but in new product development there is always a degree of uncertainty. We try to accommodate it as much as possible by adding a small contingency to cover any unknowns. It is generally accepted that “excessive” scope creep will necessitate an analysis of impact to the both the project cost and schedule. 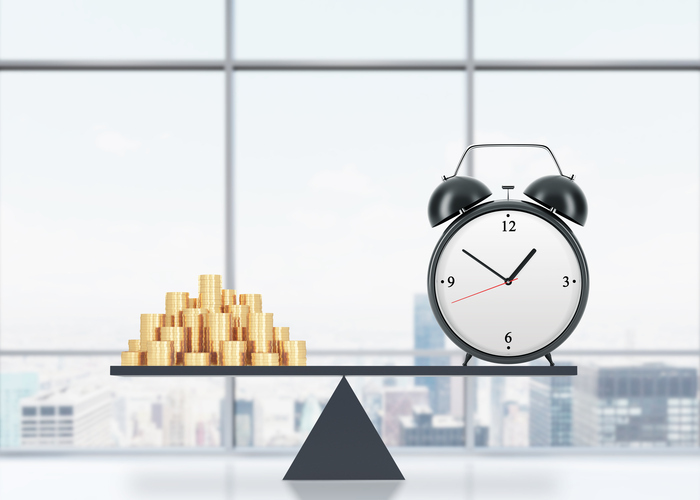 However, schedule slippage alone (with no change in scope) can also negatively impact cost. The slippage my result from a compression of timescales due to a late project start, delays resulting from untimely provision of information, receipt of incomplete / inaccurate or changing data, delayed design feed-back, staff availability etc. All these things are unforeseen and unplanned, so consequently may result in project slip. Experience says that delivery dead-lines are rarely allowed to go backwards and one thing is for sure: the more schedule becomes important, the more it needs to be closely monitored and regularly reported. A rule-of-thumb that I was taught on my DFSS course was to set the monitoring period to no more than you could afford to slip. How latest cyber security initiatives might lead to improved work-life balance | When is Rapid Prototyping not Rapid Prototyping?